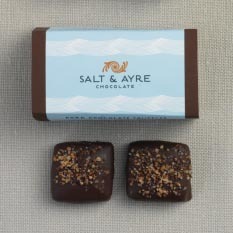 Our Best Selling Chocolate! 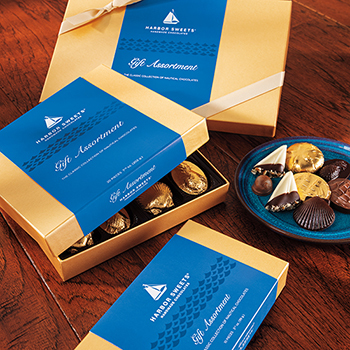 Sweet Sloops are Almond Buttercrunch Toffee covered in White Chocolate, dipped in Rich Dark Chocolate and Pecans The chocolate that launched our company! The naming of our candy came about when Founder Ben's son saw us putting white chocolate on a triangular piece of almond butter crunch. 'Sailboats', he said. 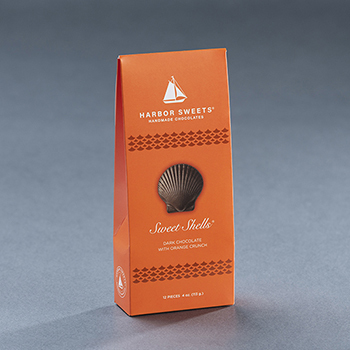 'Sweet Sloops', we said. And our Sweet Fleet set sail. 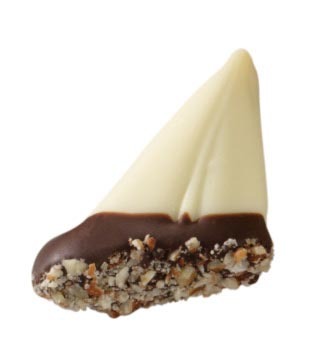 Sailboat shaped almond buttercrunch toffee, a mainsail and jib of white chocolate floating in dark chocolate with pecan spindrift washing her sides. 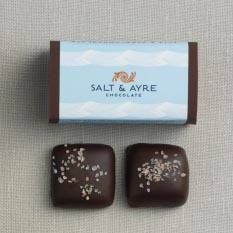 Ingredients : white "chocolate" (sugar, cocoa butter, whole milk, non-fat dry milk, milk fat, soy lecithin (an emulsifier), natural vanilla flavor), sugar, U.S. grade AA creamery butter (cream (milk), salt), dark chocolate (sugar, chocolate liquor, chocolate liquor processed with alkali, cocoa butter, butter fat (milk), soy lecithin, vanilla), dry roasted almonds, crushed pecans, wildflower honey, soy lecithin, baking soda, and salt. 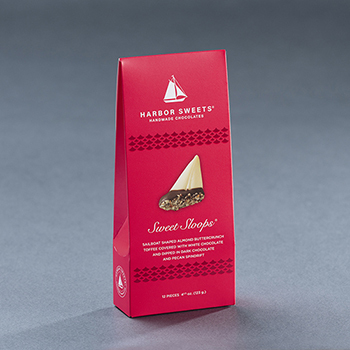 Sweet Sloops are the best! They are the best chocolates I have ever eaten in my life. My girlfriend had a business an used to buy these incredible candies for her business. On special occasions she would give me a small bag of these candies. They were such a wonderful treat.